I don’t think words can even begin to explain HOW MASSIVELY PUMPED I AM FOR THIS NOVEL. It has Stranger Things vibes with murder, founding families, mysterious woods, and hostile locals. Yup, it sounds like you have totally sold Mandy with a gothic murder mystery that reminds her of her favorite Stranger Things gang. I AM NOT SURE I CAN TAKE IT. The countdown is officially set, and I’m not just obsessively looking to see when my order will ship because LIKE I NEED THIS SO MUCH. I’ve also heard it has a great diverse cast, SO I AM READY. And no, like, I’m really ready because I got my pre-order in the moment I heard the UK edition had hot pink sprayed pages and the cover had a neon sign that reminded me of my jam, The 1975. ✔️ THIS BOOK IS SNOW APPROVED! I totally have this image of this murderous, spooky forest like the one that Snow White ran through and had that acid trip in. I totally feel like Snow can totally relate to the darkness in this one. What do you think? Is this on your book TBR as well? 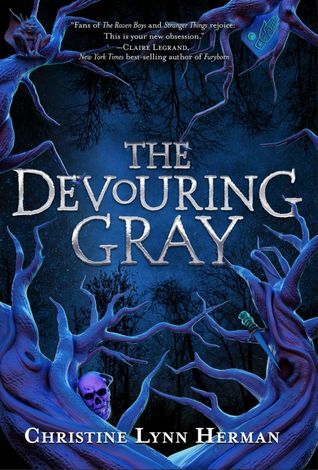 Posted on March 13, 2019 March 8, 2019 by Mandy @ Book Princess ReviewsPosted in UncategorizedTagged blog, blogging, book, book blog, book blogger, book blogging, book blogging meme, book meme, books, can't wait wednesday, the devouring gray, ya, ya fiction, young adult fiction. Sometimes it’s better to just stay oblivious hahaha Makes it easier to enjoy things, I think! I’ve never seen or heard of this book until reading this post, so it is not on my TBR. I probably won’t add it. And if you want the UK Edition with the hot pink sprayed edges you can pre-order it from Book Depository. It just takes forever for books to arrive.